Department of Zoology, Immunopharmacology and Molecular Cell Biology Laboratory, University of Gour Banga, Malda - 732103, West Bengal, India. ABSTRACT: Phytochemicals are bioactive compounds produced by plant through primary and secondary metabolism. Phytochemicals are found to be more effective than conventional synthetic chemicals. Rice is considered as the staple food for most of the people residing in this part of world, i.e., the eastern part of India. There are many varieties of rice cultivated in West Bengal, India and among which Gobindobhog and black rice are common. In the present study, qualitative and quantitative analyses of phytochemicals like flavonoids, alkaloids, steroids, riboflavin, ascorbic acid, thiamine, etc. of Gobindobhog and black rice were performed. All the methods followed are standard biochemical and spectrophotometric procedures for detection and quantification of phytochemicals. Qualitative screening of phytochemicals indicated the presence of glycoside, steroid, phenol, protein and carbohydrate in both of the rice varieties, whereas tannin, phlobatannin, terpenoid, alkaloid and flavonoid were identified only in black rice. Quantitative analysis indicated the presence of ascorbic acid, riboflavin and lipid in significant amount in both of these rice varieties. Therefore, it can be concluded that both Gobindobhog and black rice possess medicinal properties apart from their food value. Therefore, isolation and identification of active principles from these rice varieties should be prioritized and it will advance the existing knowledge in relation to human health. INTRODUCTION: Rice (Oryza sativa L.) is used as a staple food by a large part of world’s population. The major nutrients in rice are carbohydrates, proteins, fatty acids, vitamins and some minerals. Being easily available and digestible, rice has been used for curing various neuromascular, digestive and respiratory diseases as mentioned in the ayurvedic literatures 1. Traditional coloured rice varieties are rich in dietary fibres, starch, flavonoids, phenols, etc. and therefore, consumption of these pigmented rice varieties are reported to play a major role in attenuating the incidence of non - communicable disease like cardiovascular disease, diabetes, cancer and stroke 2, 3. Phytochemicals are the bioactive compounds which possess antioxidant activity and play a major role in protecting body from diseases. Antioxidants delay or inhibit cellular damage through different properties 4. Medicinal plants have great antioxidant potential which is due to their contents of variable phytoconstituents. Though a large number of experiments have been carried out concerning the antioxidant activity of several medicinal plants, scanty works have been done on the phytochemical profiling in rice varieties. Phytochemicals like anthocyanins and oligomeric procyanidins were found to be present in the black and red varieties of rice grown in the Camargue region of France 5. According to some Ayurvedic studies, medicinal rice like Njavara contains high minerals and carbohydrate. It is used in the treatment of arthritis, cervical spondylitis, muscle wasting, skin disease and certain neurological disorders 6, 7. However, till date, no scientific data are available on the nutritional and medicinal properties of Gobindobhog and black rice, the two most popular rice varieties in West Bengal, India. Gobindobhog is an indigenous, small-grained aromatic rice variety, having white grain, whereas black rice, as the name suggested, have black coloured grain but without aroma. Therefore, the aim of the present study was to investigate the presence of different phytochemicals both qualitatively and quantitatively in Gobindobhog and black rice. The whole grain was examined qualitatively for the presence of different phytochemicals such as tannins, phlobatannins, terpenoids, glycosides, steroids, cholesterol, alkaloids, phenols, flavonoids, anthraquinones and also for carbohydrate and protein. The quantitative estimation of alkaloids, flavonoids, tannins, riboflavin, thiamine, ascorbic acid, total phenol, protein, lipid, sugar, moisture and ash content were also determined by standard method for both of the rice varieties. Sample Collection: Gobindobhog rice was collected from the local market of different areas of Burdwan, West Bengal, India, whereas the black rice was collected from the local farmers of Raiganj, West Bengal, India. Sample Preparation: Small sand particles and other impurities were separated carefully from the sample. The sample was then grinded to powder. The powder was passed through a 0.5 mm metallic mesh. The resultant crude fine powder was used for phytochemical investigation according to previously described standard chemical tests 8, 9, 10, 11. Qualitative Phytochemical Analysis: 10 g of crude dried sample was taken in 250 ml conical flask and 100 ml of double distilled water was added to it. The solution was mixed on magnetic stirrer for 10 h. The mixture was filtered through Whatman filter paper no. 1 and the filtrate was used for the following phytochemical tests. Tannin: 10 ml of aqueous extract was mixed with few drops of 0.1% FeCl3 solution. Blue-black precipitation formation upon addition of ferric chloride solution indicates the presence of tannin. Phlobatannin: 10 ml of aqueous extract was taken in a test tube and 2 ml of concentrated HCl was added to it. The mixture was boiled for 1 min. Caution was taken so that the hot solution does not bump out of the test tube. Deposition of red precipitate indicated the presence of phlobatannins. Carbohydrate: 2 ml of aqueous extract was mixed with 2 ml of Molish’s reagent (5% α-napthol in absolute ethanol) and shaken vigorously to mix properly. 2 ml of concentrated H2SO4 was added carefully by means of pipette along the wall of the test tube. Formation of reddish - violet ring at the junction of two liquids indicated the presence of carbohydrates. Protein: 2 ml of aqueous extract was taken in a test tube and 1 ml of 40% NaOH solution was added to it. The solution was mixed properly and 1 - 2 drops of CuSO4 solution was added to it. Change in the colour to violet indicated the presence peptide linkage in the solution which in turn was an indication of the presence of proteins. 10 g of crude dried sample was taken in 250 ml conical flask and 100 ml of 70% methanol was added to it. The solution was mixed on magnetic stirrer for 10 h. The mixture was filtered through Whatman filter paper no. 1 and the filtrate was used for the following phytochemical tests. Terpenoid: 5 ml of methanol extract was mixed with 2 ml of chloroform. 3 ml of concentrated H2SO4 was added to the solution slowly along the wall of the test tube. Care was taken not to stir the solution in the test tube. Reddish-brown coloration formed at the junction of two liquid phases indicated the presence of terpenoids. Glycoside: 5 ml of methanol extract was taken in a separate test tube and 2 ml of glacial acetic acid containing 2% FeCl3 solution was added to it. One ml of concentrated H2SO4 was added slowly along the wall of the test tube. Formation of Brown ring at the interphase of two liquid indicated the presence of glycoside. Steroid: 5 ml of methanol extract was taken in a test tube and treated with 0.5 ml of anhydrous acetic acid and was cooled on an ice bath for 15 min. Then 0.5 ml of chloroform was added to the solution. 1 ml of concentrated H2SO4 was added along the wall of the test tube carefully by means of pipette. At the separation of two liquid phases, a reddish- brown ring was formed, as an indication of presence of steroids. Cholesterol: 2 ml of ethanol extract was mixed with 2 ml of chloroform. 10 - 12 drops of acetic acid anhydride was added to the tube and shaken. 2 drops of concentrated H2SO4 was added to it. Change of reddish- brown coloration to blue - green on addition of H2SO4 indicated the presence of cholesterols. Alkaloid: 2 ml of methanol extract was taken in a test tube and 2 ml of 2N HCl was added to it. The solution was shaken vigorously to mix and kept aside for five minutes. Aqueous phase was separated from two liquid phases and few drops of Mayer’s reagent (HgCl2 + KI in water) was added to it and shaken to observe the formation of creamy coloured precipitate. The presence of the creamy precipitate indicated the presence of alkaloids. Phenol: 10 ml of ethanol extract was treated with 4-5 drops of 2% FeCl3 solution. Change of coloration of the solution indicated the presence of phenolic compounds. Flavonoid: 2 g of crude sample was heated with 10 ml of ethyl acetate over a water stream bath for 5 min. The solution was filtered through Whatman paper no. 1. 4 ml of the filtrate was mixed with dilute ammonia solution (10%) and shaken vigorously. Yellow coloration of the solution indicated the presence of flavonoids. Anthraquinone: 0.5 g of crude sample was taken in a 100 ml conical flask and 20 ml benzene was added to it. The solution was mixed on magnetic stirrer for 4 h. 10 ml of filtrate was mixed with 0.5 ml ammonia solution (10%) and mixed properly. Presence of violet colour at the layer phase indicated presence of anthroquinone. Saponin: 0.5 g crude sample was boiled with 15 ml of double distilled water in a boiling water bath. Formation of intensive froth is the indication of presence of saponin. Alkaloid Determination: The assay was performed according to the standard method 11, 12. 5 g of crude sample was taken in a 250 ml conical flask and 250 ml of 20% CH3COOH in ethanol was added to it. The solution was mixed on magnetic stirrer for 10 h at room temperature. The solution was filtered through Whatman paper no. 1 and the resultant was placed on hot water bath (60 °C) until the extract volume turns ¼ of its initial volume. Concentrated NH4OH was added to it drop-wise which forms thick precipitate. NH4OH was added until the precipitate formation was complete. The whole solution was allowed to settle down. The precipitate was collected by filtration, dried in an oven and weighed. Flavonoid Determination: A standard procedure was followed with slight modifications to quantify the total flavonoid content 13. 10 g of crude dried sample was taken in 250 ml conical flask and 100 ml of 70% methanol was added to it. The solution was mixed on magnetic stirrer for 3 h. The mixture was filtered through Whatman paper no. 1. The remaining powdered material was re-extracted once again with 70% methanol and filtered. Both the filtrates were mixed and transferred into a crucible and evaporated to dryness over a water bath of 60°C and weighed. Tannin Determination: The assay was performed according to the standard method 14. 1 g of crude powder sample was taken in 100 ml flask and 50 ml of double distilled water was added to it and shaken on magnetic stirrer for 10 h at room temperature. It was then filtered into a 50 ml volumetric flask and made up to the mark using distilled water. 5 ml of solution was pipetted out in a test tube and 0.008 M K4[Fe(CN)6] and 0.1 M FeCl3 in 0.1N of HCl was added to it. The absorbance was measured in spectrophotometer at 120 nm wavelength within 10 min. A suitable blank was prepared and read at same wavelength. A standard was prepared using tannic acid and measured. Determination of Riboflavin: The test was performed according to the standard method with slight modification 15. 10g of crude dried sample was taken in 250 ml conical flask and 100 ml of 50% ethanol was added to it and stirred on magnetic stirrer for 10 h at room temperature. The solution was filtered and 25 ml of 5% KMnO4 solution was added to it. The mixture was stirred using a glass rod continuously while 25 ml of 30% H2O2 was added to it. This was placed on an 80 °C water bath for 30 min. 5 ml of 40% Na2SO4 was added to it and the absorbance was measured at 510 nm using spectrophotometer. A suitable blank was prepared and read at same wavelength. The riboflavin content was calculated from riboflavin standard curve. Determination of Thiamine: A previously described standard method was followed with slightly modifications to quantify the thiamine content 16. 5 g of crude powder was mixed with 50 ml of 20% ethanolic NaOH and stirred on a magnetic stirrer for 3 h at room temperature. The resultant was filtered in 100 ml conical flask. 10 ml of filtrate was separated out and 10 ml of 2% K2Cr2O7 solution was added to it. As a result colour was developed which was read against 360 nm against a suitable blank. The blank contents all the chemicals except the plant material. The thiamine content was calculated from thiamine standard curve. Determination of Ascorbic Acid: The test was performed according to a previously described method with slight modifications 17. 5 g crude plant powder was mixed with 100 ml of extraction mixture (TCA: EDTA at 2:1) and stirred on a magnetic stirrer for 3 h at room temperature. This was transferred into a centrifuge tube and centrifuge at 2000 rpm for 30 min. After centrifugation the supernatant liquid was filtered. 2-3 drops of 1% starch solution was added to it and titrated against 20% CuSO4 solution until a dark end point was reached. Determination of Total Phenol: To estimate the total phenol content, test sample was prepared to be fat free. To do that, 5 g of crude powder was mixed with 100 ml of n-hexane and defatted using a Sohxlet apparatus for 2 h. The resultant was used for determination of total phenols according to a previously described method 17. For the extraction of the total phenolic content, the fat free sample was boiled with a 50 ml of ether for 15 min. The resultant was filtered and 5 ml of the filtrate was pipetted into a 50 ml flask. 10 ml of double distilled water was added to it. 2 ml of NH4OH solution and 5 ml of concentrated amyl alcohol was added to the solution with constant stirring. The flask was incubated at room temperature for 30 min for colour development. The absorbance of the solution was read using spectrophotometer at 550 nm against a suitable blank. The phenolic content was evaluated from a gallic acid standard curve. Estimation of Total Protein: Total protein was estimated according to the standard method with slight modifications 10. Known concentrations of bovine serum albumin was taken as standard and the OD was read at 595 nm using a suitable blank. Estimation of Total Lipid: The assay was performed according to a standard method with slight modifications 17. 1 g of dried sample was macerated with 10 ml distilled water. To this, 30 ml of chloroform - methanol (2:1 v/v) was mixed thoroughly and the mixture was left overnight at room temperature. 20 ml of chloroform and equal volume of distilled water were added and centrifuged at 1000 rpm for 10 min. After centrifugation three layers were formed, out of which the lower layer was collected which contained chloroform containing lipid. The mixture was kept in an oven for one hour at 50 °C which resulted in the evaporation of chloroform. Weight of the remaining was measured. Total Sugar Estimation: The total sugar content was determined according to standard method with slight modifications 17. 50 g of the powdered test sample was macerated in a pestle and mortar with 20 ml of ethanol and kept for incubation at 30 °C for 10 h. The mixture was centrifuged at 1500 rpm for 20 min and the supernatant was collected separately. One ml of this alcoholic extract was taken and 1 ml of 5% phenol solution was added in it. 5 ml of concentrated H2SO4 was added rapidly with constant stirring. This was allowed to stand for 30 min at room temperature. The solution colour changed in to yellow orange and the OD was measured at 490 nm against a blank. The blank standard curve was prepared using known concentrations of glucose. The quantity of the sugar was expressed as mg/g fresh weight of the sample. Statistical Analysis: All the experiments were performed three times and the data were reported as the mean ± SD of three measurements. Statistical analysis was performed using KyPlot version 2.0 beta 15 (32 bit). RESULTS: Results of the qualitative and quantitative phytochemical analysis indicated the presence of steroids, phenolics, flavonoids, tannins, glycosides, terpenoids and other phytochemicals in Gobindobhog and black rice. These phytochemicals were also estimated quantitatively. The results are listed in the Table 1 and Table 2. From the present study, it is observed that the lipid content in Gobindobhog (125.66 ± 4.04 mg/g) was higher than that of black rice (38.33 ± 1.52 mg/g). Similarly, the total sugar content in black rice (0.15 ± 0.03 mg/g) was found to be nearly half of the total sugar content in Gobindobhog rice (0.29 ± 0.04 mg/g) whereas, the thiamine content in black rice (39.45 ± 0.65 mg / 100 g) was found to be double than that of Gobindobhog rice (17.03 ± 0.15 mg / 100 g). DISCUSSION: Gobindobhog is one of the most popular aromatic rice varieties of India especially among the people of West Bengal, whereas the demand and popularity of the black rice is getting increasing day by day throughout the world for its nutritional and medicinal properties. The grain of Gobindobhog rice is white in colour, having a beautiful aroma whereas for the black rice, as the name suggested, the grain is black in color. Both of the rice varieties are consumed in various forms as food in different parts throughout the state of West Bengal, India, where the present study has been conducted. In the present study, phytochemical analysis of Gobindobhog and black rice was done using biochemical and spectrophotometric methods. Qualitative screening of phytochemicals identified the presence of glycoside, steroid, phenol, protein and carbohydrate in both of the rice varieties, whereas tannin, phlobatannin, terpenoid, alkaloid and flavonoid were identified only in black rice. These phytochemicals are the essential constituents of herbal medicine and also commonly detected in root, leaf, stem and fruits in most of the angiosperms. Alkaloids are naturally occurring nitrogenous compound. Many of them are used in medical purposes such as, atropine as anticholinergic and morphine as analgesic. In the present study, a small amount of alkaloids is present in black rice while it is completely absent in Gobindobhog rice. Phenolic compounds are considered as the alternative to conventional anti-inflammatory therapeutics in case of chronic inflammatory diseases; whereas, flavonoids are bioactive compounds which influence cellular mechanisms related to carcinogenesis, regulate cell cycle and apoptosis 18. It is evident that flavonoid, especially quercetin may reduce the risk of lung cancer 19. Present study indicated the absence of flavonoid in Gobindobhog rice, whereas flavonoid content in the black rice is found to be significant. In both of the rice varieties, moderate quantity of phenolic compounds has been estimated. Both these classes of compounds have good antioxidant potential and their effects on human nutrition and health are considerable. The mechanism of action of flavonoids is through scavenging or chelation 20. Phenolic compounds are also very important plant constituents because their hydroxyl groups confer scavenging ability 21. Tannin plays a major role in protection from predation. Tannin possesses remarkable toxic activity against bacteria 22. Results indicated the presence of significant amount of tannin in black rice, whereas, in case of Gobindobhog rice, tannin is absent. Therefore, black rice may play a useful role against the toxicity of pathogens. Riboflavin or vitamin B2 in rice is used as a dietary supplement. UV light activates riboflavin, produce active oxygen that damages cell membrane and prevents replication of the harmful pathogens found in the human blood 23. Results of the present study indicated that Gobindobhog rice contains significant amount of riboflavin that is higher than that of black rice, therefore, Gobindobhog rice may possess antipathogenic activity by activating molecular oxygen. Thiamine or vitamin B1 plays an important role in energy metabolism. It is important in the breakdown of carbohydrate from rice to produce energy. Significant amount of thiamine was found in both of the rice varieties. It is found that thiamine content in black rice is higher than that of Gobindobhog rice. Therefore, it can be assumed that black rice is a better source of energy than Gobindobhog rice which justifies the increasing popularity and demand of black rice over other conventional varieties. Ascorbic acid, commonly known as vitamin C, is a water soluble vitamin used as a dietary supplement. It helps in biosynthesis of collagen and certain neurotransmitters require ascorbic acid for better functioning 24. Ascorbic acid is a potent antioxidant, stops the chain radical reaction and scavenges free radicals. In both of the rice varieties, the amount of ascorbic acid is significant, thereby indicating their bioactive potential. Moreover, rice is used mainly as a high energy source to pursue our daily work and, protein and carbohydrate play an important role in this regard. Both Gobindobhog and black rice contain high calorific value due to the presence of high amount of proteins and carbohydrates. CONCLUSION: Present study indicated the presence of some medicinally important phyto-chemicals like alkaloids, glycosides, flavonoids, phenolic compounds and other secondary metabolites in two common rice varieties, and thereby indicating that apart from their food value, both black rice as well as Gobindobhog rice may be used to treat various kinds of diseases. This preliminary phytochemical investigation will provide valuable information which may help future investigators towards isolation and identification of active principles from these rice varieties and it will advance the existing knowledge in relation to human health. ACNOWLEDGEMENT: Authors would like to thank Mr. Prabir Mandal for his help towards the collection of indigenous black rice from the authentic vendors. Deepa G, Singh V and Naidu KA: A comparative study on starch digestibility, glycemic index and resistant starch of pigmented (‘Njavara’ and ‘Jyothi’) and non-pigmented (‘IR 64’) rice varieties. Journal of Food Science and Technology 2010; 47: 644-649. Hanhineva K, Törrönen R, Bondia-Pons I, Pekkinen J, Kolehmainen M, Mykkänen H and Poutanen K: Impact of dietary polyphenols on carbohydrate metabolism. 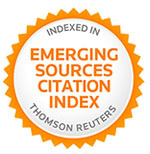 International Journal of Molecular Sciences 2010; 11: 1365-1402. Zhang H, Shao Y, Bao J and Beta T: Phenolic compounds and antioxidant properties of breeding lines between the white and black rice. Food chemistry 2015; 172: 630-639. Ashraf A, Sarfraz RA, Rasid MA and Shahid M: Antioxidant, antimicrobial, antitumor, and cytotoxic activities of an important medicinal plant (Euphorbia royleana) from Pakistan. Journal of Food and Drug Analysis 2015; 23: 109-115. Pereira-Caro G, Cros G, Yokota T and Crozier A: Phytochemical profiles of black, red, brown, and white rice from the Camargue region of France. Journal of Agricultural and Food Chemistry 2013; 61: 7976-7986. Umadevi M, Pushpa R, Sampathkumar KP and Bhoumik D: Rice - traditional medical plant in India. Journal of Pharmacognosy and Phytochemistry 2012; 1: 6-12. Deepa G, Singh V and Naidu KA: Nutrient composition and physicochemical properties of Indian medicinal rice - Njavara. Food Chemistry 2008; 106: 165-171. Durai MV, Balamuniappan G, Anandalakshmi R, Geetha S and Kumar NS: Qualitative and quantitative analysis of phytochemicals in crude extract of big - leaf mahogany (Swietenia macrophylla King). International Journal of Herbal Medicine 2016; 4: 88-91. Santhi K and Sengottuvel R: Qualitative and Quantitative Phytochemical analysis of Moringa concanensis International Journal of Current Microbiology and Applied Sciences 2016; 5: 633-640. Prabhavathi RM, Prasad MP and Jayaramu M: Studies on qualitative and quantitative phytochemical analysis of Cissus quadrangularis. Advances in Applied Science Research 2016; 7: 11-17. Harborne JB: Phytochemical methods. Chapman and Hall, Third edition 1983. Danlami U, Cecilia OE and Ifeanyi OM: Evaluation of the phytochemicals and antimicrobial activities of the ethanolic, hexane and ethyl acetate extracts of Spigelia anthelmia International Journal of Pharmacy and Chemistry 2017; 3: 29-32. Agostini-Costa TS, Teodoro AP, Neves Alves RB, Braga LR, Ribeiro IF, Silva JP, Quintana LG and Burle ML: Total phenolics, flavonoids, tannins and antioxidant activity of lima beans conserved in a Brazilian Genebank. Journal of Food Science and Tech. 2015; 45: 335-341. Xie L, Wehling RL, Ciftci O and Zhang Y: Formation of complexes between tannic acid with bovine serum albumin, egg ovalbumin and bovine beta-lactoglobulin. Food Research International 2017; 102: 195-202. Nandagoapalan V, Doss A and Marimuthu C: Phyto-chemical Analysis of Some Traditional Medicinal Plants. Bioscience Discovery 2016; 7: 17-20. Poornima GN and Rai VR: Evaluation of phytonutrients and vitamin contents in a wild yam, Dioscorea belophylla (Prain) Haines. African Journal of Biotechnology 2009; 8: 971-973. Dey P, Roy S and Chaudhuri TK: A quantitative assessment of bioactive phytochemicals of Nerium indicum: An ethnopharmacological herb. 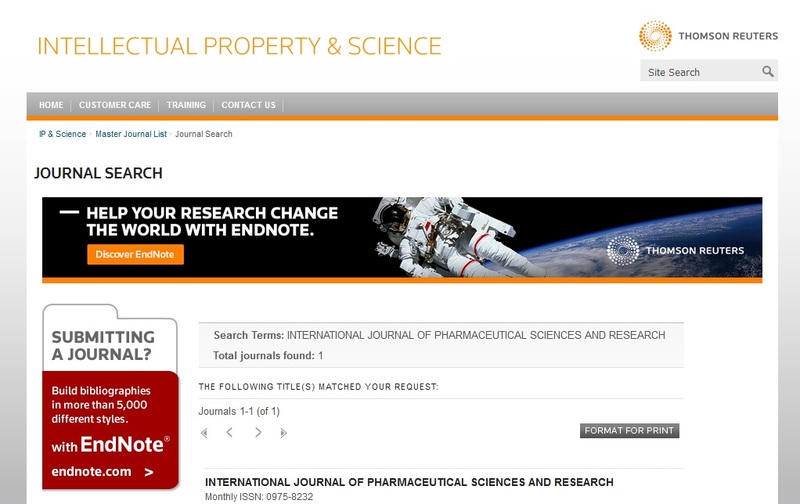 International Journal of Research in Pharmaceutical Sciences 2012; 3: 579-587. Xingkang H and Sun L: Dietary intake of flavonoid subclasses and risk of colorectal cancer: evidence from population studies. Onco target 2016; 7: 26617-26627. Khan F, Niaz K, Maqbool F, Hassan FI, Abdollahi M, Venkata KCN, Nabavi SM and Bishayee A: Molecular targets underlying the anticancer effects of quercetin: An update. Nutrients 2016; 8: 529-548. Ivey KL, Hodgson JM, Croft KD, Lewis JR and Prince RL: Flavonoid intake and all-cause mortality. The American Journal of Clinical Nutrition 2015; 101: 1012-1020. Diplock AT: Will the good fairies please prove to us that vitamin E lessens human degenerative disease? Free Radical Research 1997; 27: 511-532. Rodrigues CG, Ferreir PRB, Mendes CSO, Ronaldo RJ, Valerio HM, Brandi IV and Oliveira DA: Antibacterial activity of tannins from Psidium guineense (Myrtaceae). Journal of Medical Plants Research 2014; 8: 1095-1100. Zeddies S, Cuyper IMD, Meer PF, Daal BB, Korte D, Gutiérrez L and Thijssen-Timmer DC: Pathogen reduction treatment using riboflavin and ultraviolet light impairs platelet reactivity toward specific agonists in vitro 2014; 54: 2292-2300. Carr AC and Frei B: Towards a new recommended dietary allowance for vitamin C based on antioxidant and health effect in humans. The American Journal of Clinical Nutrition 1999; 69: 1089-1107. Bhattacharyya S and Roy S: Qualitative and quantitative assessment of bioactive phytochemicals in Gobindobhog and black rice, cultivated in West Bengal, India. Int J Pharm Sci & Res 2018; 9(9): 3845-51. doi: 10.13040/IJPSR.0975-8232.9(9).3845-51.